In typical JHM style here are 2 videos of some of the abuse we have put the B6-B7 version of this mount through on our in house 2005 B6 S4. APIKOL Performance Automotive Components is proud to announce the release of its upgraded Rear Differential Mount System for the Audi C5-A6-S6-RS6-allroad and Passat 4Motrion. 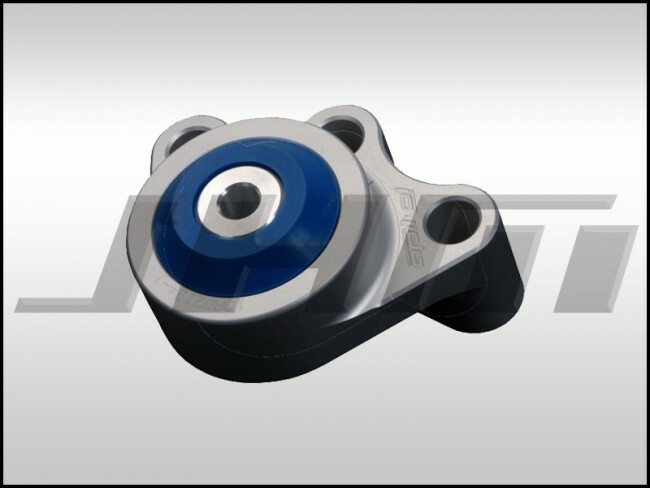 This Rear Differential Mount takes only 15 to 30 minutes to install. There are 4 bolts and 1 nut involved and it is a straight swap and bolt on part. It is designed to eliminate excessive rear differential movement and cure the dreaded "clunk" caused by aggressive shifting and/or acceleration. This is a must-have upgrade for higher mileage vehicles as well as anyone looking to increase drivetrain performance. Material High-strength cast aluminum alloy and custom molded urethane bushings. The bushings in this mount are available in two different density bushings. Please use the dropdown below to select either Blue (street use) or Red (race use) bushings.